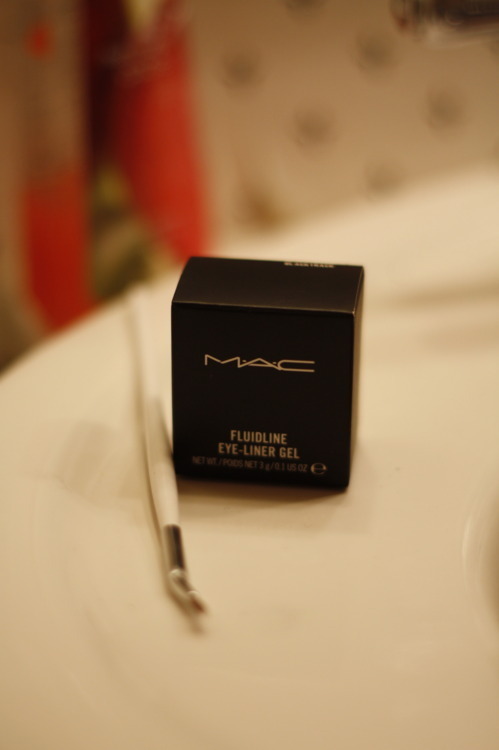 MAC Cosmetics “Fluidline” Eyeliner Gel seen here. Dip liner brush into pot, (brush off any excess) then apply as close to lash line as possible. You can fix any wavy lines in the next coat. Draw a triangle with the second line, (try to make the line at an angle, creating a winged line). « Cinco De Mayo Grub Essentials!